Below you fill find all funeral homes and cemeteries in or near Johnstown. Johnstown is also known as: Johnstown, Pa and Cambria County / Johnstown city. Their current mayor is Mayor Frank Janakovic. Zip codes in the city: 15901, 15902, 15904, 15905, 15906, 15907, 15909, 15915, 15945. Some of the notable people born here have been: Artrell Hawkins (american football player), Carlton Haselrig (american football player), Ian Williams (guitarist), Tom Bradley (american football player and coach), Natalia Livingston (actor), Tim Kazurinsky (actor and screenwriter), and D.C. Cooper (singer and musician). Johnstown is home to the following sports teams: Johnstown Chiefs and Johnstown Jets. Johnstown is a city in Cambria County, Pennsylvania, United States, 43 miles (69 km) west-southwest of Altoona and 67 miles (108 km) east of Pittsburgh. The population was 20,978 at the 2010 census and estimated to be 20,402 in 2013. It is the principal city of the Johnstown, Pennsylvania, Metropolitan Statistical Area, which includes Cambria County. It was noted by The Daily Journal on February 8th, 2019 that Philomena "Phyllis" Ganci (Mucito) passed on in Vineland, New Jersey. Ms. Ganci was 91 years old and was born in Johnstown, PA. Send flowers to express your sympathy and honor Philomena "Phyllis"'s life. It was disclosed on January 15th, 2019 that Ray V Wissinger passed on in Lake Placid, Florida. Wissinger was 93 years old and was born in Johnstown, PA. Send flowers to express your sympathy and honor Ray V's life. It was revealed on January 12th, 2019 that Brenda Elaine Rogers (Merle) passed on in Austinville, Virginia. Ms. Rogers was 64 years old and was born in Johnstown, PA. Send flowers to express your sympathy and honor Brenda Elaine's life. It was reported on December 3rd, 2018 that Mary Agnes Rasbach (Jordan) passed on in Clearwater, Florida. Ms. Rasbach was 95 years old and was born in Johnstown, PA. Send flowers to express your sympathy and honor Mary Agnes's life. It was reported by Hartford Courant on November 27th, 2018 that Patricia Ann "Patty" Tucker (Single) passed away in North Windham, Connecticut. Ms. Tucker was 61 years old and was born in Johnstown, PA. Send flowers to express your sorrow and honor Patricia Ann "Patty"'s life. It was disclosed by Register Guard on November 1st, 2018 that Dean Piper Mangus perished in Eugene, Oregon. Mangus was 93 years old and was born in Johnstown, PA. Send flowers to share your condolences and honor Dean Piper's life. It was written on August 26th, 2018 that Rose Marie Oravetz (Minahan) died in Tallahassee, Florida. Ms. Oravetz was 86 years old and was born in Johnstown, PA. Send flowers to share your condolences and honor Rose Marie's life. It was noted by Waterloo/Cedar Falls Courier on August 26th, 2018 that Nancy K Lemons (Knipe) died in Cedar Falls, Iowa. Ms. Lemons was 89 years old and was born in Johnstown, PA. Send flowers to express your sympathy and honor Nancy K's life. It was revealed on August 2nd, 2018 that Mary Bassett passed on in Clearwater, Florida. Bassett was 103 years old and was born in Johnstown, PA. Send flowers to express your sympathy and honor Mary's life. It was written by New Haven Register on May 13th, 2018 that Julia R Prece (Yotch) perished in Hamden, Connecticut. Ms. Prece was 89 years old and was born in Johnstown, PA. Send flowers to share your condolences and honor Julia R's life. Johnstown is a city in Cambria County, Pennsylvania County, Pennsylvania, United States, miles east of Pittsburgh and west-southwest of Altoona, Pennsylvania. It is the principal city of the Johnstown, Pennsylvania, Metropolitan Statistical Area, which includes Cambria County, Pennsylvania County. . 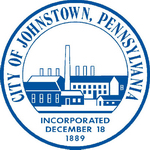 The official website for the city of Johnstown is http://cityofjohnstownpa.net/. Another passenger in Schmucker's truck, Tina Levendosky, 21, of Derry, was taken to Conemaugh Memorial Medical Center in Johnstown for treatment ... of the cause and manner of his death. Funeral services will be at 11 a.m. today in James W.
Listing all funeral homes in Johnstown, Pennsylvania so you can easily send flowers to any location (same day delivery) or find any funeral service. Funerals in Johnstown, PA on Yahoo! Local Get Ratings & Reviews on Funerals with Photos, Maps, Driving Directions and more. We work with local florists and flower shops to offer same day delivery. You will find budget sympathy flowers in Johnstown here. Our funeral flowers are cheap in price but not in value.